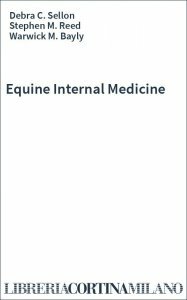 Confidently diagnose, treat, and manage patient conditions with the only comprehensive book on the market devoted solely to equine internal medicine. Filled with fully updated content on principles of treatment and contributions from internationally known equine experts, Equine Internal Medicine, 4th Edition focuses on the basic pathophysiologic mechanisms that underlie the development of various equine diseases. A problem-based approach outlines how to apply the latest clinical evidence directly to the conditions you will encounter in practice. A new companion website with over 120 video clips presents diseases and disorders that cannot be explained as well through wordsUpdated information throughout, including the most recent drug information. Current and well-referenced content on equine diseases and treatment techniques cites the latest books and journals.Internationally known equine experts present information on problems affecting horses throughout the world - and provide contributions that enable practitioners and students to approach disease and treatment of equine patients with more authority and understanding. User-friendly exterior and interior design makes the book appealing to both the equine internal medicine practitioner and the veterinary student. Easy-to-find information facilitates a more thorough understanding with minimal frustration.Organized and consistent coverage among chapters allows you to easily find information on a specific topic.NEW! Fully updated and revised sections on disorders and principles of treatment.NEW! Problem-based approach outlines how to apply the latest clinical evidence directly to the conditions you will encounter in practice. NEW! Pathophysiology is emphasized throughout, providing a sound basis for discussions of the diagnosis, treatment, and prognosis that follow. NEW! Body systems chapters begin with a thorough discussion of the diagnostic method appropriate to the system, including physical examination, clinical pathology, radiography, endoscopy, and ultrasonography. NEW and UNIQUE! Companion website includes more than 120 video clips linked to content from chapters on cardiovascular and neurologic system disorders.NEW! Flow charts, diagrams, and algorithms clarify complex material. 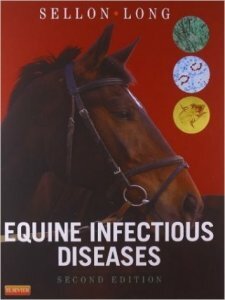 Ideal for both practitioners and students, Equine Infectious Diseases, 2nd Edition covers the diagnosis, treatment, and prevention of infectious disease in horses. Organized by infectious agent - viral, bacterial and rickettsial, protozoal, and fungal - it includes complete coverage of the individual diseases caused by each type of agent. A section on clinical problems offers effective treatment for conditions such as ocular infections, CNS infections, and skin infections. Preventing and controlling infectious disease outbreaks is addressed with information on epidemiology, biosecurity, antimicrobial therapy, and recognizing foreign equine diseases. Public health considerations presented in nearly every chapter discuss zoonotic disease potential and precautions, as well as other public health concerns. Appendix of infectious disease rule-outs for medical problems shows which symptoms may indicate specific infectious diseases with cross-references to the chapters in which they are discussed. Antimicrobial drug formulary appendix provides information on adjusting dosages on the basis of clinical and toxicologic data. Appendix for vaccination guidelines for horses in North America helps horse traders understand the necessary steps to avoid hefty fines and even license suspensions for non-compliance. The most up-to-date immunization recommendations for horses in North America, organized by foals/weanlings, yearlings, performance horses, pleasure horses, and broodmares. Easy access to references on PubMed links you to the original abstracts, with content updates to keep you aware of new infectious diseases and their impact on people and animals, as well as stunning downloadable images. Full-color photos and illustrations provide clear, accurate representations of clinical appearances of infectious diseases. NEW! The most up-to-date coverage of equine piroplasmosis reflects what experts have learned as more outbreaks of this tick-borne disease have occurred in the US. NEW! Content on EHV-1 keeps you current on the diagnosis and treatment of this potentially serious disease in horses. NEW! Information on how global climate changes are creating more diseases in horses keeps you alert to the possibilities of new and emerging diseases worldwide. NEW! Expanded coverage of biosecurity on farms and in veterinary practices helps you develop an effective biosecurity program and emphasizes how to isolate or eliminate the source of infectious agents. NEW! Additional clinical algorithms offer detailed prevention strategies in addition to diagnostic and therapeutic guidelines. NEW! New appendix of product and diagnostic test kit manufacturers on the companion website,gives you access to the most current products and advances available in equine medicine. Develop an essential understanding of the principles of equine disease with this one-of-a-kind, problem-based resource! 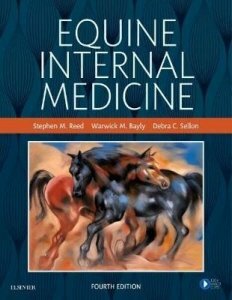 Extensively revised and updated with contributions from an international team of experts, "Equine Internal Medicine, 3rd Edition" reflects the latest clinical research in equine medicine and focuses on the basic pathophysiologic mechanisms that underlie the development of various equine diseases to help you confidently diagnose, treat, and manage patient conditions.